Gareth too right you exceeded our expectations with our amazing wedding dvd that you produced... Every moment of the day, even the ones we didn`t see on the day...you captured. Every camera angle and edit...so much thought put into it. Everything blumin fantastic... Im livin the "Im lovin it" all over again. Gareth from the bottom of our hearts thank you for the thought and time you put into our wedding film even yourself and Lee with the little clip at the end... brilliant... We had the time of our lives. Our wedding film is "phenomenal"... We were just going to watch part 1 and it was brilliant so we thought we would just watch part 2 and it was brilliant so we just watched it all and yes it was... brilliant! Anyone wanting an important day like your wedding filmed... these are the ONLY people you should use or you will have missed out big time! Your warmth, kindness, humor and professionalism were first class and you made our wedding day so much fun and so very much special. Gareth ... the amazingly talented man behind OUR and many other couples "Ultimate Wedding Video... I have to say we have watched the dvd box set that you produced of our wedding several times now (bare in mind people this production is over 3 hours long in total!) and aswell as being so funny and emotional i find it fascinating at the incredible amount of work you have put into it and the more we watch it the better it gets. Just before Ben's brother and sister-in-law watched the film ... they decided to get in on the video about the video craze too! And then... the gift Ben and Debbie sent arrived... Just amazing. A few days before Christmas a present arrives...! At Ben & Debbie's House Santa came a-calling! Gareth opens the Christmas Gifts from Ben and Debbie. Also featuring Gareth's Mum and Dad. 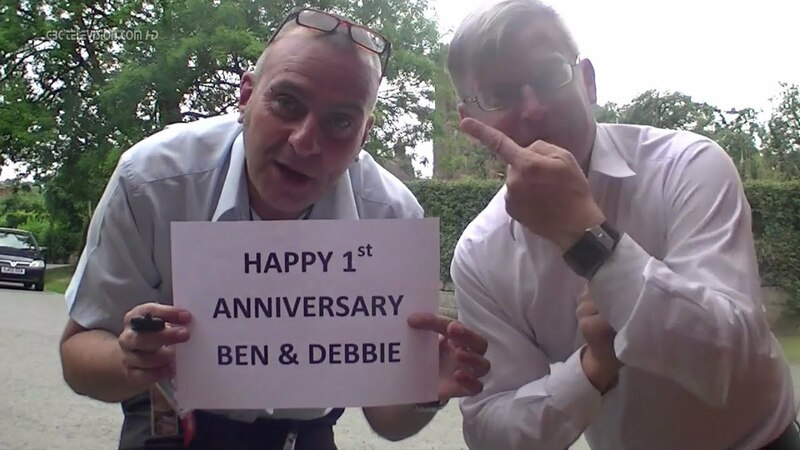 Happy First Anniversary Ben and Debbie! Happy Second Anniversary Ben and Debbie! 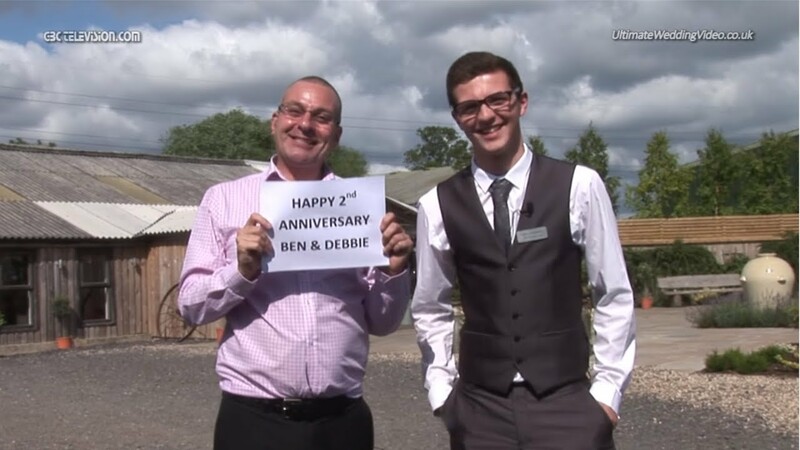 Happy THIRD Anniversary Ben and Debbie!